Untitled, a photo by marymactavish on Flickr. 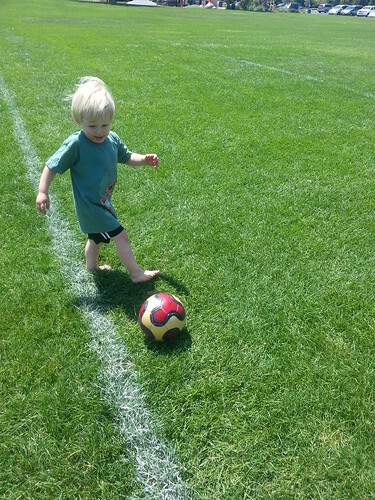 He kicked this ball all the way up and down a soccer field. Our baby isn’t a baby any more.